OK, Joe. Pentangle! Good morning. Now that both Bert and John are gone, I'm extra-grateful that I got along to the 40th anniversary Pentangle reunion concerts in 2008 (which were brilliant, as if they'd never split up). Good mornings, all! 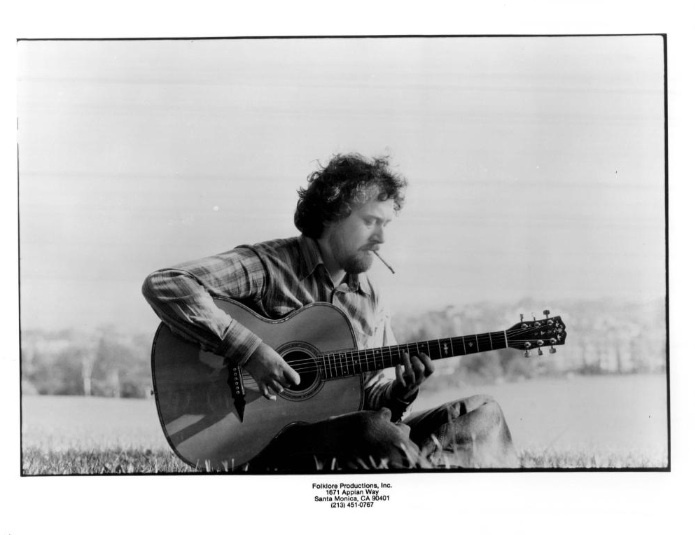 Starting today's show with a doff of the cap to John Renbourn. Great commute-walkies set, JMG. Huge fan of Cruel Sister & Basket o'Light. Morning everyone! Joe-- Thanks for playing all this Redbourn. Oh man, this is good stuff. Giving me chills. the best of day to you and to all ! The "A Maid in Bedlam" album was 1977, not '87, if anyone's interested. Apologies for the pedantry! Hey Joe, knew we could rely on you to do the decent thing. @Elf the album may have been but the CD? @Elf: Thanks for the assistance! I sometimes forget to fill in the "real" year on the playlists. HI, everyone, and welcome! Hey Sem. Got the sun cream out yet? Down to the Speedo all day long, Brian Neighbours dismayed, BUT IT'S SPRING! Swervedriver was technically the first band I ever saw live, since they opened for Smashing Pumpkins. @Elf: Yes, sorry, Elf! I said "Yansch" for years myself before reading the book "Dazzling Stranger" and that was all cleared up. Great read, btw! Wiki: "The family name is pronounced /ˈjænʃ/ yansh by almost everyone except Jansch himself." I'll check my facts next time! @elf here is a link to Doug Schulkind's show last Tuesday. You might find it interesting. Sullen slate-gray skies over the isthmus today. Good morning. @Brian: The sun just peeked out in Jersey City. Hope it comes to you soon! Yes! made it, bit too late, catch it up later, hi all! Hi, Joe, listeners. Great show for a beautiful day over here. Hey, any London suggestions? (my wife and daughter have scheduled us fairly heavily, but if there's something for the music junky-me-that's must do next week, I'll find a way, thanks. Thanks, bren, thanks, doca! @Jeezy: I agree! I'm always surprised how few Eno covers there are, considering his pervasive influence. This one's new to me. 3 hours of I'll Come Running To Tie Your Shoes !! @Elf: Thanks for the recommendation! @VP: I agree! Their "Baby's on Fire" also pretty good. @steve: I wish! "The Fat Lady of Limburg" would be a great choice if anyone out there's looking for a song to cover! Rat Monico. My cousin from the old country is missing this. This LP didn't want to be played this morning, but I'm forcing it! three hours of U2 covers? Paul Jones still has a blues show on the BBC. That Chica cover was also on one of Monica's premiums recently. Got me dancin at work, Joe! Woooo! @sphere you have a sick mind, my friend. enjoying the soundtrack to my desktop danceparty. Can't wait to see Privelege later! Looks like total insanity. My new favourite monkey song. Thx, Joe! Is there a monkey chop dance? I think I could really get down with that. Dave the Spazz needs that song! I wasn't pregnant before this Moments song, but now I am. I guess they found a way. I'd like to start the Monkey Chop dance now! @Claw! : Ha ha ha! OK, Andrea and fredr: Help me out with this one! Wow this 1970s era plane is taking off. Let me loosen my wide tie, have 2 or 5 martinis, light up a stogie and sharpen my fishing knife in anticipation of those sockeye salmon. hi joe. nice song, "gotta find a way". when they mention philadelphia and other cities, it reminds me of a new yorker small article on politico SHELDON SILVER, and they said he'd fly from nyc to albany w/a layover in phila, just for the extra miles. he's a very corrupt man. uh, allegedly. Dangit! I hate when I'm late for Single File. Joe McG , as you can hear the singer of "io voglio and are in guerra" has a funny accent (to me at least). Foreign singers that sung with an amaerican english accent were pretty standard for the period and the music of the 60s in Italy. (also, some italian were faking it to sound like them because it was a style thing). Taka a taK!!!! (is only onomatopoeia sounds). @andrea: You're right, he's French! The French Bob Dylan. He's singing about being too old for the war? @Joe McG for the few word I could listen to (I'm actually working right now :P) he sings about wanting to go to war and kill people. But I missed most of it, so do not quote me on this. Hi, Karen! @andrea: I like that version much better! Does wfmu have an official dance? @hot bar: Maybe The Muuro. You stand in one spot and howl. ABC off of vinyl! Double the love. gotta say that ABC's bari sax riff is a perfect Motown tribute. I wonder what it looks like in the studio with Joe. Is there an evil laugh and the wringing of hands? You are an mad genius Joe! when i was a kid i thought it was "when smokey sings i hear violence"
I'd definitely watch my monkey chopping around Muuro! There's a video of Dan I on dailymotion. He's got some good moves! But no apparent chopping motions. wow, this Family Child is great! feel like I need to go dancing under a mirror ball!!! The FMU dance is called "The Human Centipede." the Snoopy dance may not be appropriate for all genres,i guess. I picked the most SFW version. Heh. Joe, might I suggest a lozenge for your throat. @Brian: Yeah, sorry, I'm froggy as hell today. No amount of water helps. Long time since I heard this Dolly of an album. Good one. okay Bear!. do i have any say in who's at either end of me?! are you out there, Clay Pigeon? Great show and tribute Joe. Let dog walking commence. Happy Easter y'all. ...he's at least here in spirit. You can choose your dance partners, Fish. I am always at the front of the line, though. ALWAYS. Joe, I'm going to Rx you a teaspoon each of honey, bourbon, lemon for that throat. Increase the portions in equal measure as suits. Just want to say, that ABC’s “When Smokey Sings” is the one song in the world I would like to smack in the face. I hate that song. So coy and clever. Worse than bad Morrissey. The rest of the show… All good! Thanks, Brendan! And thanks, JakeG, even though you hate ABC. Thanks for mentioning the dance, Joe! You know my vote. But whatever wins, I'm most looking forward to the video where all the dj's do the dance! I say without shame that ABC made my whole morning bright. Don't hit me Jake. that's fine Bear!...i can't dance this week though. i stubbed my toe. i can't dance this month. @hot bar: I would love a video featuring all of the DJs doing the dance. Wish I could wish that into being! Im not looking back, but i want to look around me now. just to set the record straight, I'm with @Jake and @Brian. I bet Ken would be a natural at the monkey chop. Heya Joe. Ron Schmeck was from my hometown. I used to watch his singing commercials when I was a wee one. “When Smokey sings! I will sing atonally about my love of Smokey’s music without any hint I have any idea of how Smokey’s music actually sounds like I am in a school talent show!” God, I hate that song. at 0:30 the boy with a green shirt. @carmichael: Ha ha! You are blessed. Hahaha... That dance looks like it should be called "The Zombie." if you do that i'll do what their brother ("#5",i think!) in-between them is doing! you have a one-tract mind. My day was yesterday -no fooling. Save me a copy of "Ferret Monthly," Matt! Great show. Greetings from Indiana. Perhaps you've heard of us? FYI, if you feel boycotts and other fiscally-related actions will help our governor bring things back around KEEP IT UP. We can take it. didn't Jackson Frank write this song? Thanks for listening and commenting everybody! See you next time! Have a great weekend. Why is the chick in green vogueing? @Stevel: A buddy of mine runs Paradise Landscape & Nursery in Indianapolis—for all your non-discriminatory gardening needs! Hi Bear! I've been a non-commenting listener, as I go through the swag and try to choose my picks.